As the seasons change here at Swarthmore, so do the sports. With the 2-0 defeat of the Garnet women’s soccer team in their Sweet 16 matchup against Middlebury, the sports calendar has turned fully towards winter. 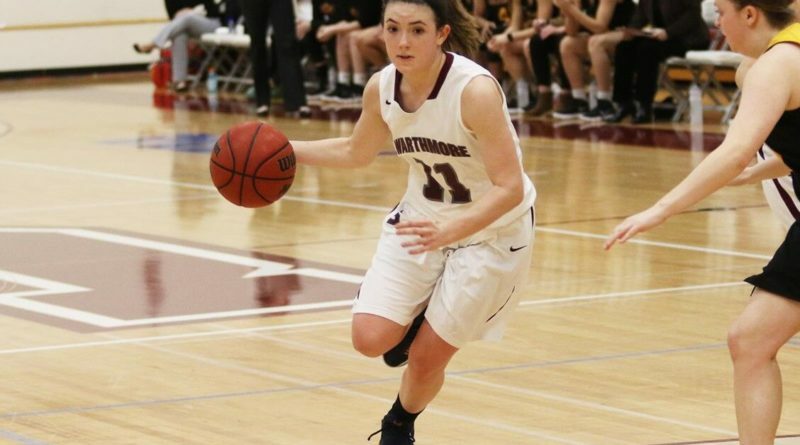 Men’s basketball, women’s basketball, and swimming have all started Centennial Conference competition, which marks the toughest part of the season for most of Swarthmore’s teams. Let’s take a look at the upcoming week for each team. Women’s basketball currently sits at 1-4 on the year. The Garnet had a blowout win against Goucher on November 16, but have lost all their contests since then. They recently opened a three-game homestand with a loss to perennial powerhouse Johns Hopkins on Tuesday. Their next game is another Centennial Conference matchup against Ursinus on Thursday. They wrap up their homestand on Saturday with a game against Franklin and Marshall. Both Ursinus and Franklin and Marshall are also 0-2 in Centennial play this season, leaving the Garnet with two great opportunities to pick up their first conference win this season. The Garnet then hit the road to meet fellow Tri-Co school Bryn Mawr on Wednesday. Last season, Bryn Mawr gave Swarthmore their only two conference wins of the year, so the Garnet hope to take care of business in this matchup. 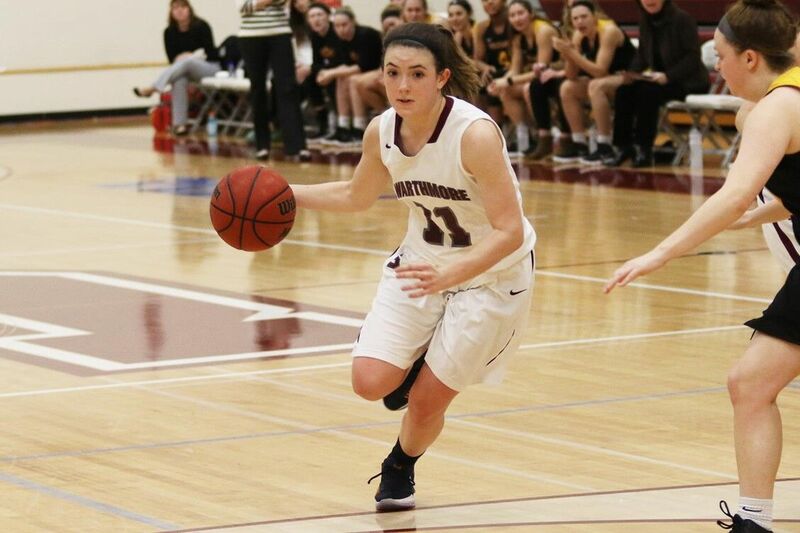 The Garnet have been led in scoring so far by Erin Cronin ’22, a Forward from Summit, NJ. Junior Elizabeth Stiles has directed the offensive attack, leading the team with assists on the year. Senior Audra Woodside has dominated on the boards, leading the team in rebounds. Men’s basketball has continued their ascendence among national Division III powerhouses. Coach Landry Kosmalski’s team is currently ranked eighth in the country in D3Hoops.com’s national poll. The Garnet are currently 4-0 and have won their games by an average of nearly 22 points. This Thursday marks the Garnet’s toughest matchup of the young season, as they travel to Baltimore to face defending Centennial Conference champions Johns Hopkins. They follow this rivalry game with another tough test against Franklin and Marshall, who also made a deep run into the Division III playoffs last year. Wrapping up their week ahead is another Centennial Conference matchup against Ursinus. Both the Franklin and Marshall and Ursinus contests are home games at Tarble Pavilion. Leading the team this year has been their All-American senior guard Cam Wiley. He has been helped on offense with the shooting of their leading scorer, sophomore guard Conor Harkins. On defense and on the boards, the Garnet have been led by junior big-men Zac O’Dell and Nate Shafer. Women’s swimming has also gotten off to a strong start this season. They currently have a 4-1 record, all against conference foes. The Garnet’s sole loss so far was against defending Centennial champion Ursinus, who have won 42 consecutive conference dual meets. The Garnet are also undefeated in home meets at Ware Pool this season. They head to The College of New Jersey this weekend for a three-day invitational meet. Along with TCNJ, the Garnet will face the U.S. Merchant Marine Academy, SUNY New Paltz, and East Stroudsburg University. The meet will wrap up the Garnet’s competition until January. Junior Liz Staton and senior Scout Clark have won races at each meet so far this season. Men’s swimming recently achieved their highest ranking in program history, coming in at No. 4 nationally. The Garnet are second in the Northeast-South region, coming in behind Carnegie Mellon. The Garnet have not lost a Centennial Conference dual meet since January of 2017. Like the women’s team, the men will also travel to TCNJ for an invitational meet this weekend. They will face the same teams, with the exception of East Stroudsburg University, who only has a women’s swim team. The meet will also wrap up 2018 competition for the men. Jeffrey Tse has led the Garnet so far this season, twice winning the Centennial Conference Swimmer of the Week award. The Garnet’s 400-yard freestyle relay also currently holds the ninth fastest time in the country.